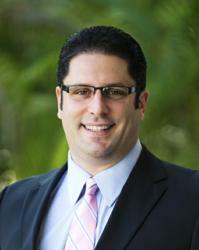 Sam Cione of Integrity Wealth Management has been named one of the 2012 Five Star Wealth Managers in the Sarasota area. The award lands Cione in the upper echelon of local financial services professionals, tax advisors and estate planning attorneys. This marks the third consecutive year that Cione has been both nominated and chosen a winner for this coveted award. "It’s reassuring to know that our commitment to delivering customized solutions specific to each of our clients is highly valued by our peers in the Sarasota area," commented Cione. SARASOTA, Fla. (Feb. 5, 2013) – Due to his knowledge and experience, commitment to client service and retention, and ethical standards, Sam Cione of Integrity Wealth Management has been named one of the 2012 Five Star Wealth Managers in the Sarasota area. The award lands Cione in the upper echelon of local financial services professionals, tax advisors and estate planning attorneys. This marks the third consecutive year that Cione has been both nominated and chosen a winner for this coveted award. Five Star Wealth Managers are nominated by clients, peer advisors and industry experts for delivering exceptional service and consistent overall satisfaction to the individuals and clients with whom they work. Nominees must then meet 10 eligibility and evaluation requirements to be considered further. Winners all hold favorable regulatory and compliant history reviews and meet educational standards for ensuring only the highest level of support is offered to clients at all times. “It’s such a great feeling to be chosen a Five Star Wealth Manager for third year in a row, particularly given the competitive nature of the selection process. It’s reassuring to know that our commitment to delivering customized solutions specific to each of our clients is highly valued by our peers in the Sarasota area. We aim to display our hard work day in and day out for every individual and family we serve, as they are part of our family,” commented Cione. Integrity Wealth Management understands the importance of working with individuals in the accumulation, conservation and distribution phases of their lives to ensure they can retire comfortably and confidently. Their dedication and loyalty to clients coupled with the integrity with which they conduct business is a perfect fit for the Five Star Wealth Manager award. ABOUT INTEGRITY WEALTH MANAGEMENT INC.
Based in Sarasota, Fla., Integrity Wealth Management, Inc. (IWM) is a registered independent advisory firm offering a distinctive family-style approach to helping area retirees and pre-retirees create solutions for attaining their lifestyle and income needs. Our belief is that everyone we serve is more than just a client; they’re family. IWM specializes in long-term low-risk investments, wealth preservation, tax-efficient plans for distributions, life insurance and annuities. We are pleased be members of the Sarasota Chamber of Commerce, the Better Business Bureau and the National Ethics Bureau. For more information, visit us on the Web at http://www.iwmfl.com or call 941.955.2700.